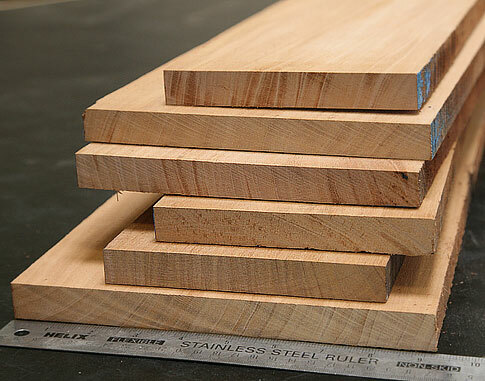 These cutting board strips are cut from premium kiln dried lumber. They're ready to be ripped or cut to make your own custom cutting board. You'll need 8-10 strips to build a 10"-15" wide cutting board. Extremely tough and resilient. 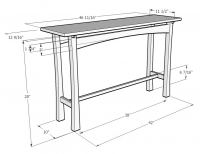 May be somewhat difficult to work with hand tools. Hickory looks very nice when finished. Approximated, actual size may vary +/- 1/8"
White cream with brown streaks to tan. A large tree with a massive trunk reaches heights of 160 feet with 6-7 feet diameters. Has a very long life - up to 350 years. 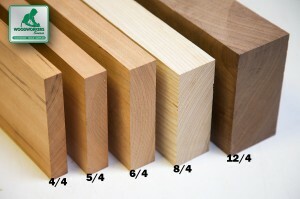 Hickory Turning Squares 1-3/4" x 1-3/4" x 12"
Hickory Furniture Squares 1-3/4" x 1-3/4" x 30"
Solid, straight, beautiful pieces of hickory. Perfect!